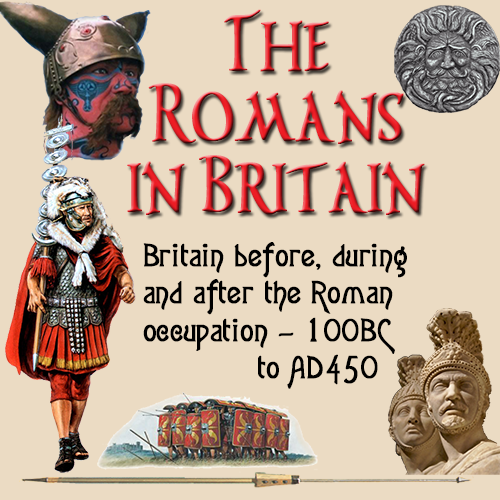 B ritain was a land rich in mineral deposits just waiting to be taken -- those were the thoughts of Emperor Claudius and were part of his desire fo the invasion of Britain. Britain was indeed abundant in metal ore, one of the main consumables in the Roman Empire. It was not just iron and lead the Romans wanted to mine, there was also gold, copper and tin. Lead was the actually main prize, as it could be used for water pipes, guttering and, once liquefied in a furnace, mixed with tin to make pewter. But the Romans had an even more important use for lead -- they would extract the silver from the lead ore to make much needed coins and tableware. Within six years of the invasion of 43AD, the Mendip lead mines were in full production. By 70AD., Britain was the largest supplier of lead and silver in the Empire -- it reached such a level, that the Spanish lodged a complaint with the Emperor, as their lead trade had fallen to such a low level. The Emperor responded by setting limits for Britain's production, but it didn't affect production at all. Lead was in such high demand that the number of mines actually increased, despite the limitations and output rose. 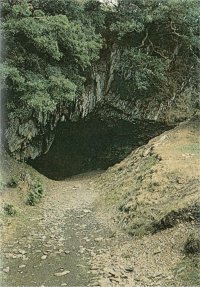 New mines opened and a large part of Wales and North-West England was being mined for lead by the end of the 1st Century. Originally lead mines were under direct control of the Roman authorities and such was their desire to ensure as few people as possible were involved in lead mining. They believed the more companies that were involved in mining, the greater the opportunity for theft and fraud. Lead was so much a base necessity in the Empire, that they had to ensure that there was little chance of unrest which could spoil the production targets. Eventually the Romans gave in and in about 60D, around the time of the Boudiccan rebellion, they agreed to hand over responsibility to two trusted agents, Gaius Nipius Ascanius and Tiberius Claudius Triferna. This is known as their insignia appears on lead ingots that appeared after this time. Under the control of these two businessmen, the lead mines were leased out to private companies on payment of a levy. In return, they had to pass over half the lead mined to the government's Imperial Procurator, to be given to the government. The remaining half they could sell on the market. Most of the lead was still sold to the largest consumer of lead -- the government. The Celtic Silurians most probably originally brought the art of iron-making to Britain. They found ore and timber in abundance in the Forest of Dean and began to apply their skills. Julius Caesar states that when he visited these Islands he found the early Britons using iron bars for coin (Currency Bars), and there was abundant proof that the Romans produced iron in the Forest in immense quantities. Their legacy, the numerous scowles at Puzzlewood, a part of Lambsquay Wood, are today a big attraction, both to tourists and film-makers. Currency Bars Before the arrival of the Romans it appears that the Silurian Celts had no coinage but partly relied on iron currency bars for bartering. Julius Caesar gives us the only contemporary account of coinage in Iron Age Britain. In his 54 BC. report on military campaigns there, he writes: "For money they use either bronze or gold coins or iron ingots of fixed weights". This mention, does not confirm whether he actually saw the currency he describes but finds of both coins and ingots over the last 150 years tend to substantiate Caesar's report. The currency bars were usually around 800mm long and 4cm wide. They resembled a half-finished sword with a roughly shaped handle at one end, and slightly hammered at the other. Currency bars have been found on three sites in the Cotswolds area of Gloucestershire and appear to have been standardised for easy transportation and bartering. The largest group totaling 147 were found while digging a gravel pit at Salmonsbury Camp, Bourton-on-the-Water, in 1860. 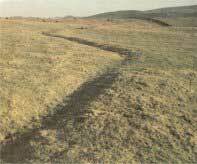 At Uley Bury Camp, situated near Dursley, across the other side of the River Severn from Lydney, excavations carried out on the north eastern rampart during the 1970s also found iron currency bars. There were many iron mines in Roman Britain. The index to the Ordnance Survey Map of Roman Britain lists 33 iron mines: 67% of these are in the Weald and 15% in the Forest of Dean. Because iron ores were widespread and iron was relatively cheap, the location of iron mines was often determined by the availability of wood, which Britain had in abundance, to make charcoal smelting fuel. Great amounts of iron were needed for the Roman war machine, and Britain was the perfect place to fill that need. Many underground mines were constructed by the Romans. Once the raw ore was removed from the mine, it would be crushed, then washed. The less dense rock would wash away, leaving behind the iron oxide, which would then be smelted using the bloomery method. The iron was heated up to 1500 °C using charcoal. The remaining slag was removed and generally dumped. After being smelted, the iron was sent to forges, where it was reheated, and formed into weapons or other useful items. 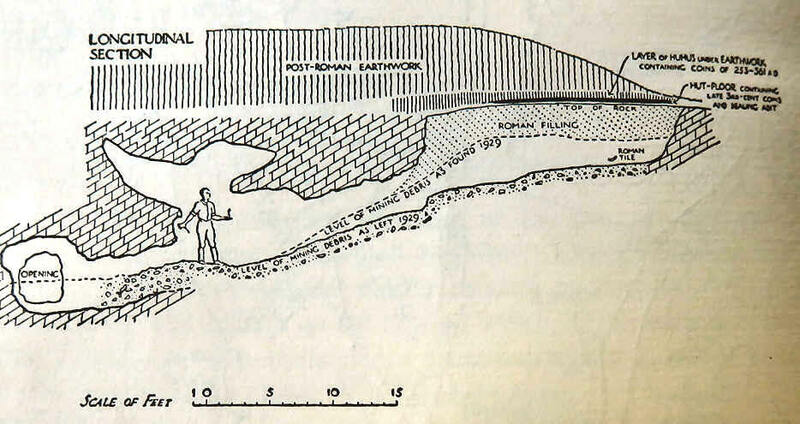 Section of a Roman iron ore mine at Lydney Park as drawn by Mortimer Wheeler in the 1930s. Historians now believe that the production of ore from this mining area probably exceeded the amount that could be processed on site. The remainder may have been sent to the local villas at Park Farm and Woolaston where evidence of iron production has been found. The Roman Empire was rife with corruption, and mining was no exception. Four lead ingots bearing the mark of Triferna have been found hidden underground at Green Ore in the Mendips. When analysed, it was found the silver had been extracted from three bars and the fourth still had the silver deposits intact. Despite stringent controls imposed by the Romans, it seems our thief managed to make a tidy income from his illicit actions. He was either very brave or very foolish, as his actions were punishable by execution or a life of toil in the very mines he stole from. Let's be clear: execution in Roman times was carried out in the public amphitheatre; The main method of execution was for the condemned to be eaten alive by wild animals. Mining was not a job anyone volunteered for — so the mines were manned by slaves, criminals and prisoners of war. Those who resisted a life of mining were thrown into a much more dangerous and short lived occupation — they were made into gladiators. Lead mining was not as hazardous as gold mining, as lead was taken from open pit mines on the surface. Gold mining was usuallydone much deeper undeeground. Even so it was still harsh work and about 12% of all miners died each year because of their daily labours. 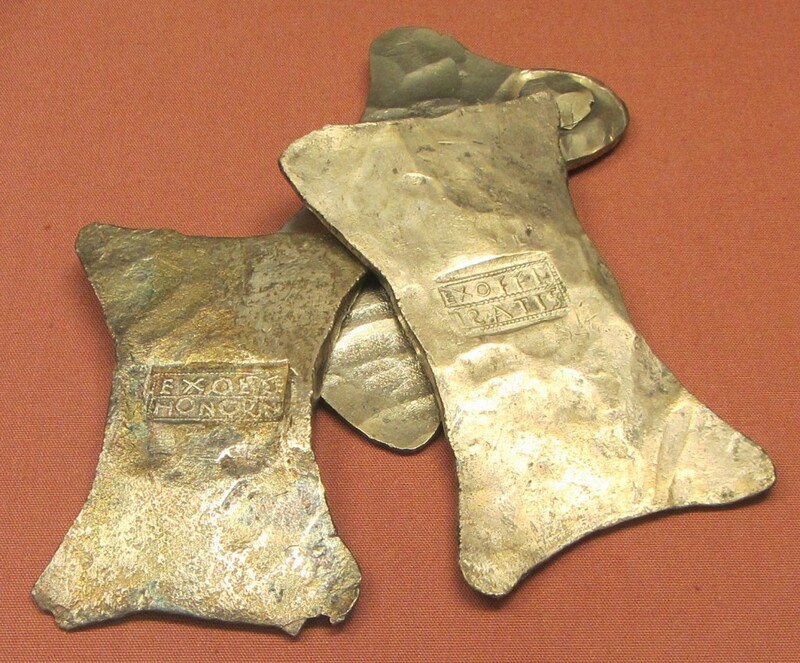 The Romans taught the British lead workers techniques for extracting the silver from the lead ore. Firstly the lead was smelted in a furnace to remove the lead from the ore. Then the lead was removed and heated in a shallow hearth. Powerful hand operated bellows were used to raise the temperature to about 1,100°c and, at the same time, cause the silver to separate from the lead. It was at this point the silver was dawn off and poured into ingot moulds. This process was known as cupellation. The remaining lead was smelted again to remove any impurities, after which it was poured into ingots and left to cool. When the Romans conquered Wales in 70AD, they immediately set to work building reservoirs on mountains in the Cothi valley. A seven mile long aqueduct was built to move the water into these man-made lakes -- then all together the water was released down the mountainside which created an avalanche consisting of water, plant life and top soil. Basically it is what is called "hydraulic mining," as used elsewhere in the world, especialy in 19th century California. This was a massive project and must have taken many months to complete, the end result was worthwhile. Once the surface layer had been removed, there was just bare rock and exposed seams of gold. The Roman miners wasted no time in putting their slave labourers to work digging the shafts that followed the seams deep into the mountains. Initially the gold was extracted using the open cast method wherein it was dug from a pit the surface. As they dug down, followed the seam deeper into the rock other methods had to be used. As rock is tough to dig through, the Roman miners used a process called "fire-setting" to break up the rock and so make it easier to remove. Fire-setting was the process of building a bonfire of wood in the shaft, thus raising the temperature extremely hot. Then, cold water was poured down the shaft and this sudden drop in temperature, on one part of the rock, caused it to crack violently and break away from rock beneath. The miners now could use picks to break this rock up into smaller pieces that would fit into a large wooden container, which was hauled up to the surface. This container was also used to transport the diggers down the shaft and then back up after the day's work. The miner's work was hazardous in many ways: The shafts could be over 100ft (33m) deep so the miners often worked in near total darkness, with the only light being from an oil lamp the miner carried. Miners lives were short -- as they dug, choking rock dust swirled around them getting into their lungs and gradually building up deposits -- this in turn led to fatal chest problems. Many fell on the uneven surface and broke limbs and there was always the danger of the shaft collapsing and burying them under hundreds of tons of rock. Added to this, was the danger of flooding from porous rock seeping water into the shaft. Other slaves would send down buckets on ropes to collect this water and bring it to the surface for disposal a safe distance away. Once on the surface the rocks would be placed on to the ground and struck with heavy sledgehammers until they were broken into small fragments. These pieces were then placed into a large wooden container and water would be poured over them. The rocks would then be removed leaving the gold dust and nuggets which would be removed and stored. Goldsmiths would melt the gold in a furnace and pour it into ingots which were stamped with the mark or name of the company. Most of these bars were transported to Rome where they were added to the treasury or used in the manufacture of coins.